This is not your Grandma’s apple pie. Or maybe it is your Grandma’s apple pie, but it’s the one she hid in the kitchen and likely the reason she had to go back just once more to bring out the extra cups or napkins or a smidge more whipped cream, every time she hosted family dinners. Think about it! Grandma was gone a lot and didn’t she lose some of her social filters as the evening wore on? Who can blame her? Hosting family dinners for so many consecutive years calls for a bit of self-medication, and if that comes in the form of a grown-up version of a seasonal favourite, I’m with Grandma and will enjoy an Apple Pie on the Rocks, too. It’s so easy to make: three steps and you’re done. 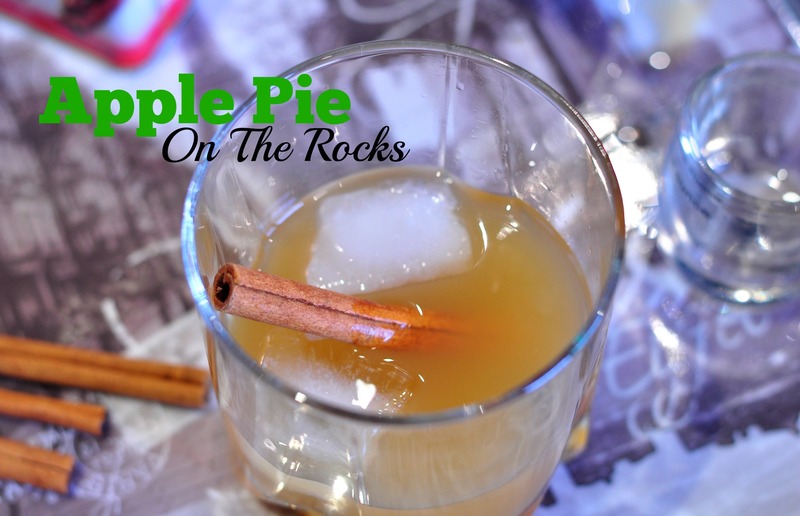 Apple pie on the rocks coming right up for Thursday night cocktails on Life In Pleasantville. You're welcome. I like pie as much as the next person — so don’t go thinking I’m slamming a Canadian and American institution — but there are times when once the dessert plates come out and I’ve extended my belt as far as it can go, there’s no way another bite could pass my lips. That’s when the boozie version of pie comes in. There are similar drink recipes floating around topped with whipped cream, but the creamy liqueur-leftover pizza with anchovies episode of ’96 was rough and left emotional scars, so we’ll just save the whipped cream for real pie. 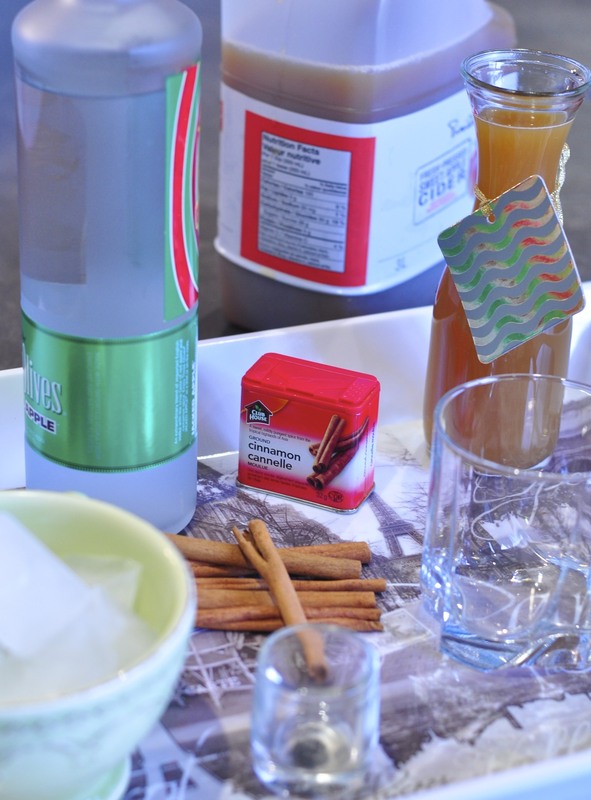 Try this lightened up version of our apple pie drink recipe. Not your Grandma's apple pie. 1 oz of apple flavoured vodka I used Three Olives Jacked Apple, which was good, but originally used Absolut Apple Orient. Pour the vodka and apple cider over ice. Stir using a cinnamon stick. Add a dash of powdered cinnamon to punch up the flavour, or warm the apple cider, bypass the ice, and make a hot apple pie drink. Sit back in a comfortable chair, sip your drink slowly, and let the post-dinner flurry pass over you. That’s what Grandma would do. Katja Wulfers is a writer, traveller, and gourmande. Katja is addicted to pastries and her great-many times removed-grandfather was beheaded during the French revolution, which explains a lot. She comes from a long line of nomads who believed in the romance and adventure of travel and she’s trying to pass that on to her children. That’s not always easy when juggling the freelance writing, the kids’ sports, volunteering, and running a business. To fuel the bug, Katja writes articles about travel and culinary tourism. She also blogs at Jack Straw Lane. Photography is one of Katja's favourite mediums for storytelling and she's a devoted Instagram fan. You can follow her at katjawulfers. You can also find her on Twitter at jackstrawlane. This sounds so comforting and lovely. I bet it would be delightful all warmed up and cozy! “Incarnations” might be the word of the week. I’ve used it a few times and now you have! Hee hee! Love that. I might have to try! Mmm… Oooh! American TG is coming up. I could make it for that!